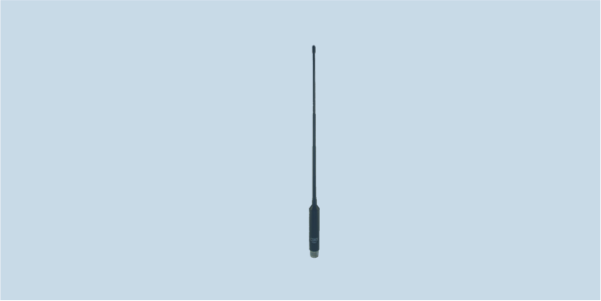 WB30512H1 is a very compact handheld antenna which is particularly suited for portable applications within the 30 - 512 MHz frequency range, not exceeding 10W. Performance of this antenna is strongly affected by the ground plane or box that it is mounted on, especially at the low end of the frequency range. It works best in mid-VHF, allowing a modern wideband software defined radios for tactical communications to operate with many requencies using one antenna.